Most people end their tour of Australia’s east coast by stopping in Cairns. 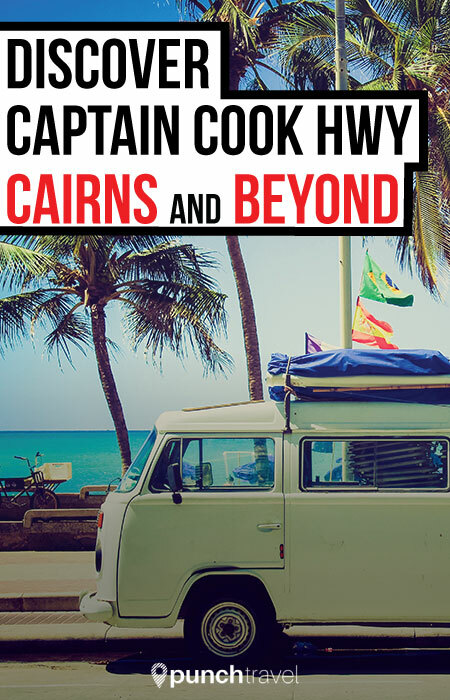 However, don’t skip the chance to drive the Captain Cook Highway from Cairns to Cape Tribulation. The road is considered one of the most scenic coastal roads, but also one of the most dangerous. The narrow 60 kilometer route hugs the coastline. It dips through mountains, lush rainforest and unobstructed views of the sea. Getting from Cairns to Cape Tribulation technically wouldn’t take you more than a day. The total driving distance is less than 200 kilometers. 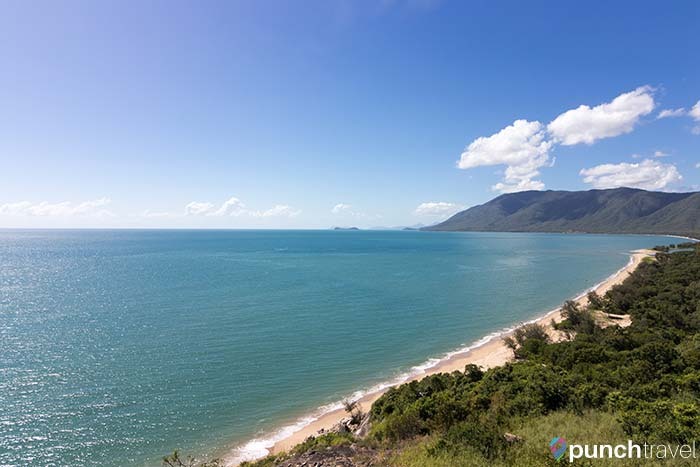 However, if you plan to visit the many spectacular natural attractions, you can easily spend several days road tripping from Cairns to Cape Tribulation. 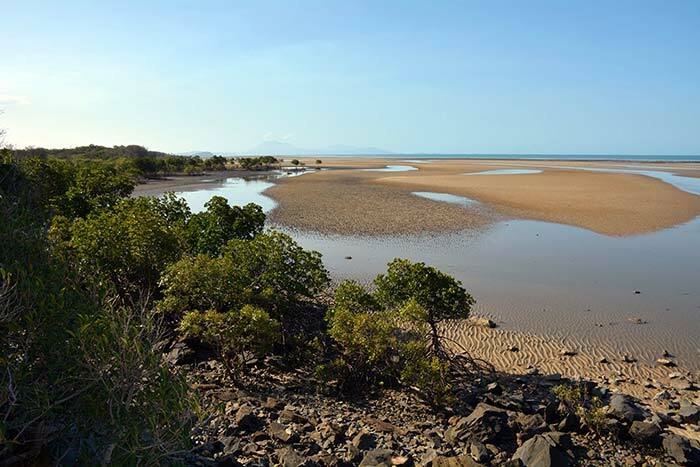 Here are our recommendations of where to visit from Cairns to Cape Tribulation. Cairns is a cute hippie town filled with young people who’ve ended up here once their traveling money ran out. They work in the many bars, restaurants and tour agencies that sell trips out to the Great Barrier Reef. 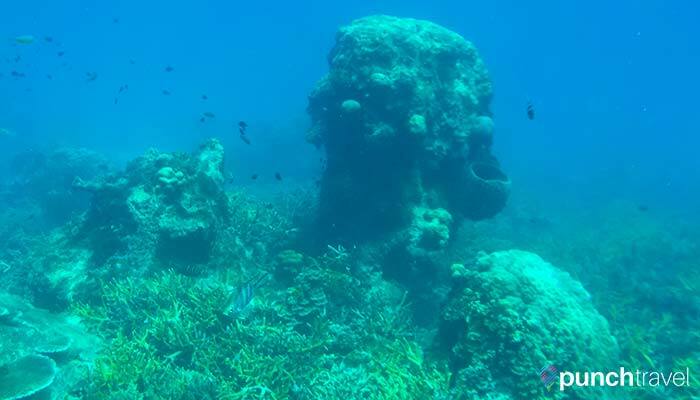 There are several tour boat packages that take you out to either the inner reef or the outer reef. Packages range from 90 AUD to more than 200 AUD for a scuba diving tour. 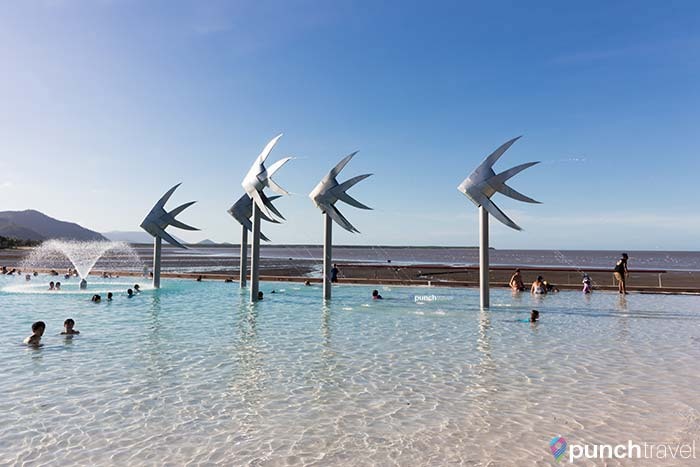 Cairns also has one of the nicest public pools in Australia. Overlooking the waterfront, this huge saltwater pool is popular with locals and visitors alike. On the weekends there is a craft market and live bands play in the adjacent park. Also open on the weekends is Rusty’s Market, a wet market selling local fruits and vegetables. Once you are out of Cairns and driving on the James Cook Highway, keep an eye out for Rex Lookout. You’ll be rewarded with endless views of the sparkling sea and white sand beach below. If you’re lucky, you may even witness paragliders taking off from this spot. Port Douglas is the more mature version of Cairns. This is where the hippies of Cairns went to grow up and settle down. On Sundays the local market is filled with stalls selling fresh coconuts, beaded bracelets and chakra massages. 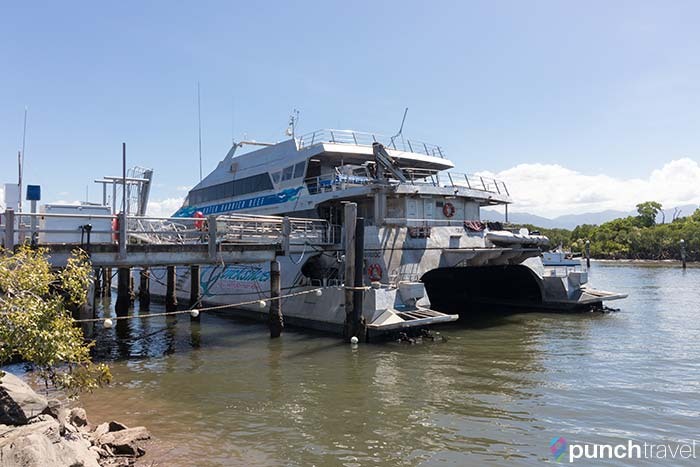 Another option for visiting the Great Barrier Reef is to depart from Port Douglas. The Quicksilver Cruise is a popular choice for its glass-bottom boat. 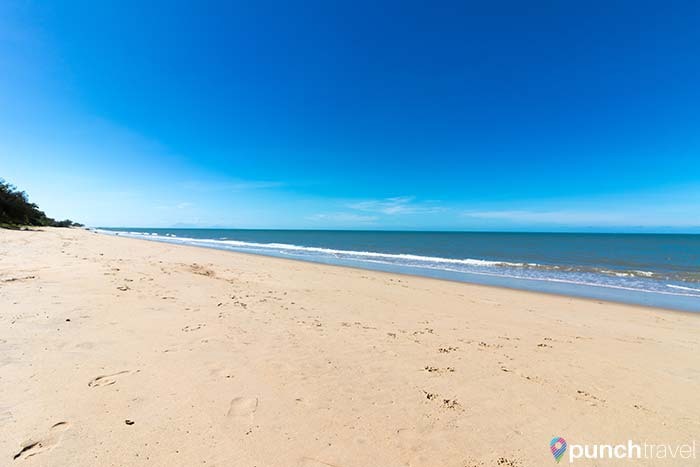 Underneath its bohemian exterior, Port Douglas is a resort town. Several hotel chains have set up shop like the W, Sheraton and the Marriott, as well as boutique luxury resorts, all along Four Mile Beach. 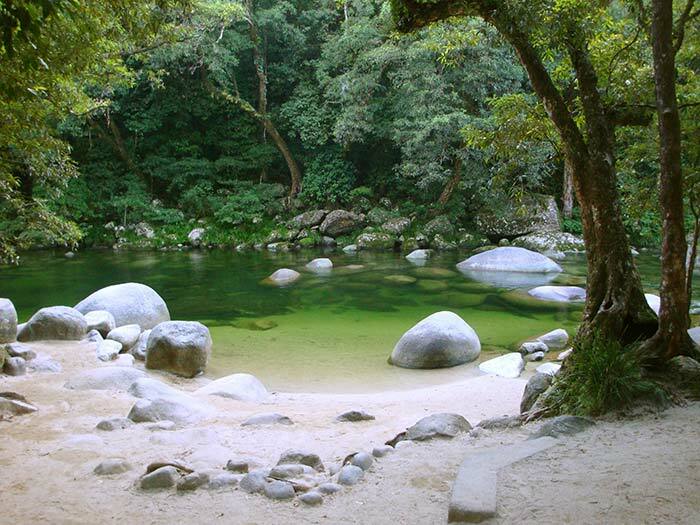 One of nature’s most idyllic natural swimming pools, Mossman Gorge is the perfect place for a secluded swim. 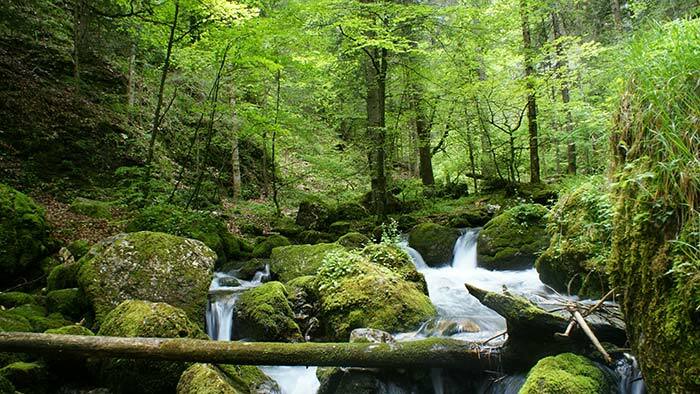 The lush rainforest provides shade over the crystal clear water. The Daintree Rainforest is the oldest continually surviving tropical rainforest in the world, thought to be 165 million years old. Explore the rainforest in a 4WD or by ziplining through the canopy. 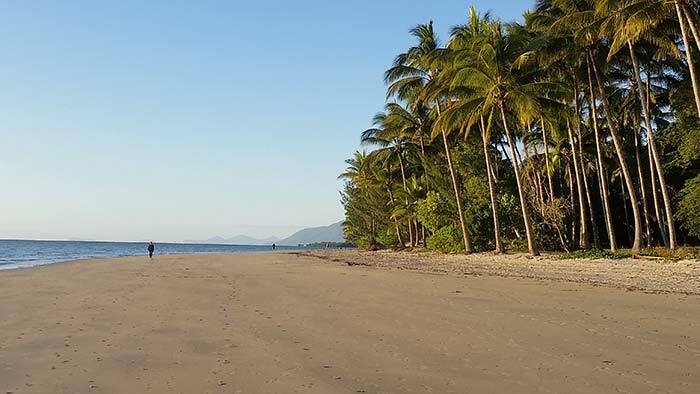 Cape Tribulation is known as where the reef meets the rainforest. It is here that two of Australia’s most famous UNESCO World Heritage Sites, the Great Barrier Reef and the Daintree Rainforest, converge. Don’t miss the opportunity to visit one of these unique destinations.